After dinner, remove all of the meat from the chicken bones and store for a later use. Keep all of the bones and juices in the crock pot (I usually keep some of the skin in there also) and fill with water until 2/3 of the way full. Cover and cook on low for 12 hours. It’s perfect! I start it after dinner and the broth is done when I get up. Now just strain everything out with either a colander or some cheese cloth and put into containers to freeze. If you want some additional flavor you can add some carrots, onions, and celery. 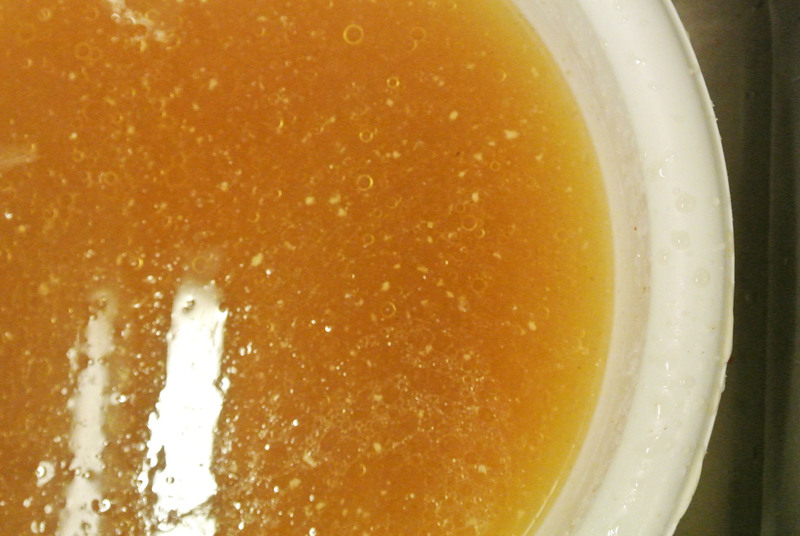 I don’t add any salt to my broth because the rotisserie seasoning adds plenty but you may want to add salt later. You don’t have to make the chicken in the crock pot to make this work. My sister saves her chicken bones and juices in the freezer and then makes the broth in the crock pot once she has enough saved up.